Running a business online nowadays is all about delivering your users a meaningful, pleasant, and contemporary user experience. 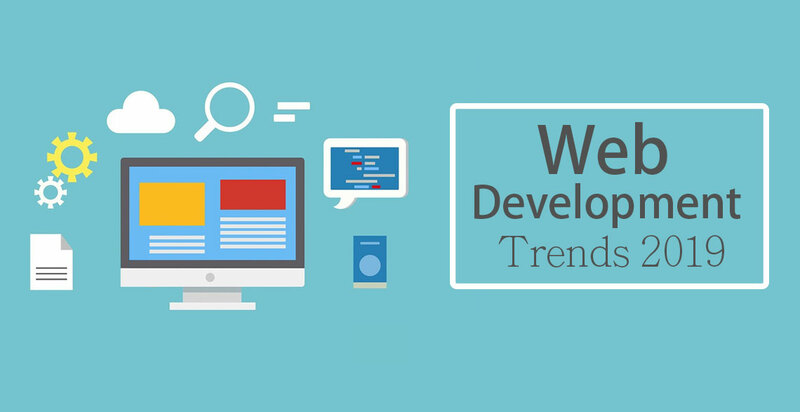 Since web development today is more user-focused than ever and enormously based on the new and emerging technologies, it is crucial for you as a developer to get acquainted with what’s trending and upcoming in the web development arena. Whether you’re planning to launch a brand-new website or revamp your existing website, the year 2019 has brought you a lot of new opportunities in form of several emerging web development trends. We have gathered them all in one place so that you can stay one step ahead from others in implementing them in your projects. So, without any further ado, let’s see what web development trends will be dominating the industry this year! While Chatbots were one among the most prominent web development trends last year, it will definitely be in the spotlight this year too. As per a recent prediction by Gartner, more than 85% of customer interactions will be happening without human intervention by the end of 2020. Also, over 95% of consumers believe that Chatbots are the best way for customer service to be delivered. With the continuous advancement of Artificial Intelligence, Machine Learning, and Neural Networks, there is no doubt that Chatbots will be getting more intelligent, smart and efficient in 2019. 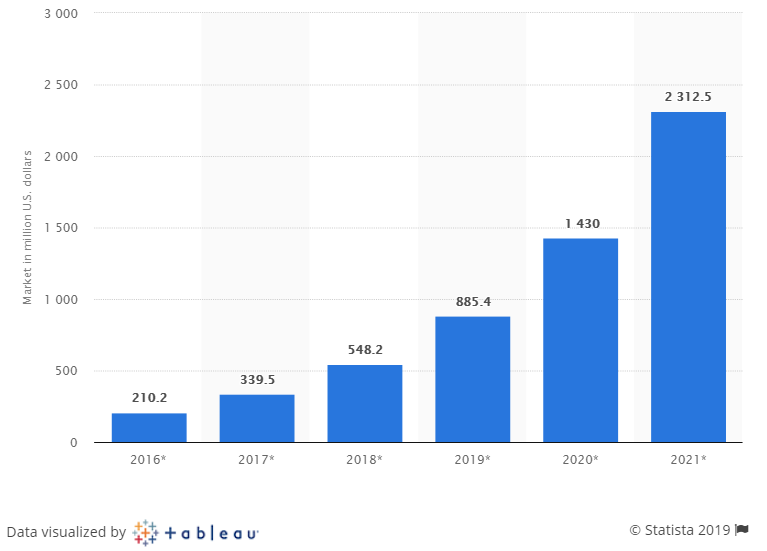 Since consumers also find Chatbots the easiest way to contact a business, having a Chatbot on your website will be a web development trend that will witness an inexorable rise in 2019. The voice search revolution brought by various virtual assistants such as Apple Siri, Microsoft Cortana, Google Assistant, and Amazon Echo is gradually changing the way how search engines operate. According to a report from Comscore, by 2020, more than 50 percent of search queries will be performed by voice, instead of text. You can check out more related statistics here. Undoubtedly, the exponential growth in the number of voice search queries is going to have a great impact on web developers this year. 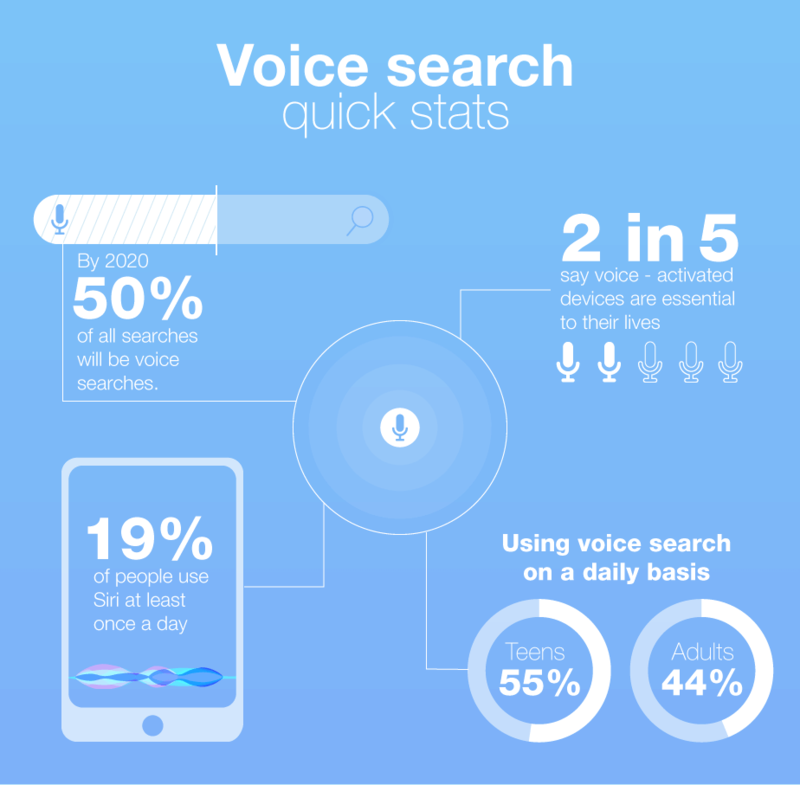 Since over 20% of mobile queries are voice searches, not only web developers need to make their websites mobile responsive but also they can even plan to integrate voice search internally on their website in 2019. Another web development trend that will be on the rise this year is Progressive Web Applications. According to a recent Google report, over 53% of mobile site visitors leave a page if it takes longer than 3 seconds to load. Progressive Web Apps or PWAs are designed to solve the same problem in an efficient manner. Taking advantage of the modern web capabilities, a Progressive Web App delivers a native app-like experience to users within a browser. There are numerous success stories on how businesses have leveraged the power of PWAs to enhance the user experience, decrease bounce rate, and boost conversions. Hence, we can expect this web development trend to rule the online space this year too. Displaying all the contents on a single web page and eliminating all the clutter, a SPA not only saves users from navigating across different tabs or windows but also helps them find the most relevant content in the blink of an eye. As SPAs run perfectly on both desktop and mobile devices as well as take relatively less development time, they have a huge possibility to be a prevalent web development trend in 2019 and beyond. Just like Progressive Web Apps (PWAs), Accelerated Mobile Pages (AMPs) also aims to enhance the user experience by reducing the overall page load time up to 85%. The prominence of this web development trend can be judged by the fact that even Bing, the second most-used search engine worldwide, is also now rolling out AMP support for mobile web searches. According to a blog post by SearchEngineLand, the median load time for an AMP-coded page is 0.7 seconds whereas a non-AMP takes up to 22 seconds to load. Since there is a massive difference between the load time of both versions, we can expect more and more developers to adopt this web development trend this year. A simple and minimal interface backed by sophisticated animations and interactive graphics is what users actually love to browse nowadays. As the average human attention span is getting worse year by year, you need to keep your web pages as alive and fresh as possible in order to capture visitors’ attention instantaneously. A captivating Motion UI coupled with interactive elements, like background animations, hovers, modular scrolling, animated charts, and page header transitions, not only keeps the users engaged to your site for a long time but also makes sure they’ll return to your site over and over again. Expect this web development trend gain more traction in 2019! With the advent of web-based drag and drop builders, Content Management Systems (CMS) are getting better day by day. One recent example of this web development trend is WordPress 5.0, which introduced a brand-new block-based content editor called Gutenberg. The main advantage of the modular design approach is that anyone with or without zero knowledge of coding can create a cool looking web page in minutes. On the other hand, developers can reuse modules and components to create web pages rather than relying on basic templates with limited constraints. As the use of modules leads to faster and cheaper development, the majority of developers will be embracing this web development trend in the near future. There was a time when Push Notifications were used only on mobile applications to keep users engaged and updated but they are now everywhere. Be it a newbie blogger or a fully-functional eCommerce site, almost every kind of business is leveraging them to notify users about what’s new and happening on their website or blog. Being pretty brief, prompt, and timely, Push Notifications are now indeed on the way to replacing other modes of notifications, such as email newsletters, social media, and SMS, in terms of usability and accessibility. Given the fact that Push Notifications play a vital role in increasing user engagement, they will undoubtedly emerge as a prevalent web development trend in 2019. Even though this ingenious invention by Satoshi Nakamoto has lost some trust due to wildly volatile exchange rates, this web development trend is here to stay for a long time. According to a recent report by Statista, the global Blockchain market will be of worth around US$ 2.3 billion by the end of 2021. Initially created to work on desktop, Blockchain is quickly expanding its footprint on the web. As this revolutionary technology ensures the highest level of data protection as well as helps developers combat several critical security issues of the present web, Blockchain will definitely dominate as one of the prominent web development trends in the year 2019 and beyond. Hopefully, you’ll find this article helpful and informative. Feel free to contact us to discuss your web development requirements.